Check out our new VISUAL SCRIBING page! Sooo funny ... JUST talking about how wonderful it was having you there at the wedding, compared to having some bloody nuisance band. If you are lucky enough to be getting married or having a ceremony, you might consider hiring some fantastic entertainment. 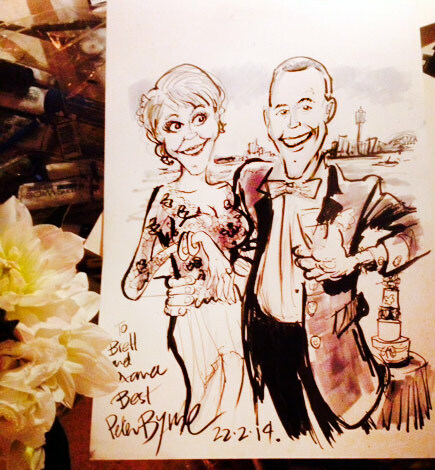 PETE BYRNE, caricature artist is one of the best ways to amuse your guests and leave them with a FANTASTIC souvenir of the special day. 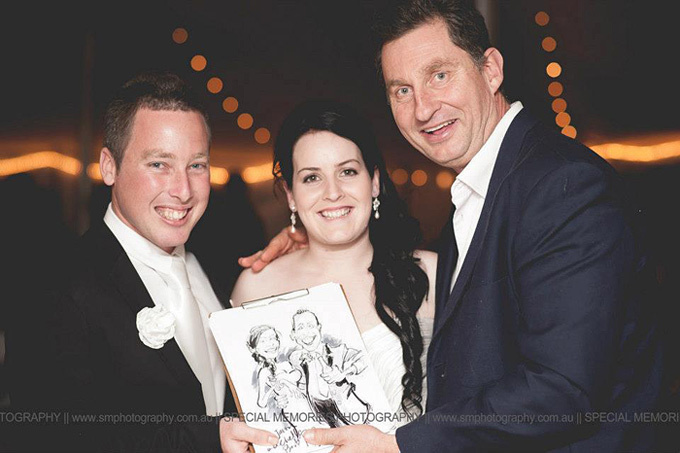 Add a touch of humour to your big day and have quality amusing portraits of those that you cherish sketched? 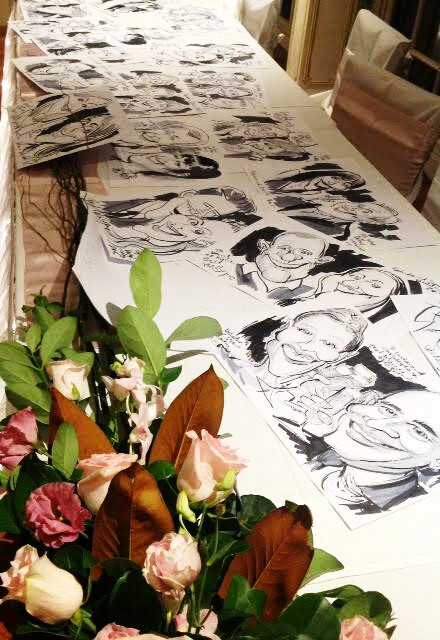 Delight your wedding guests with fun and fast caricatures with an incredible likeness! 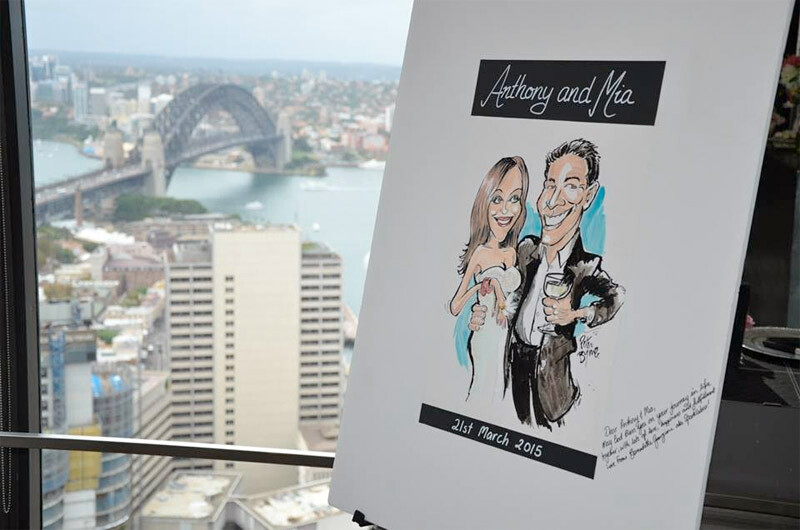 Caricatures that will fascinate your guests. 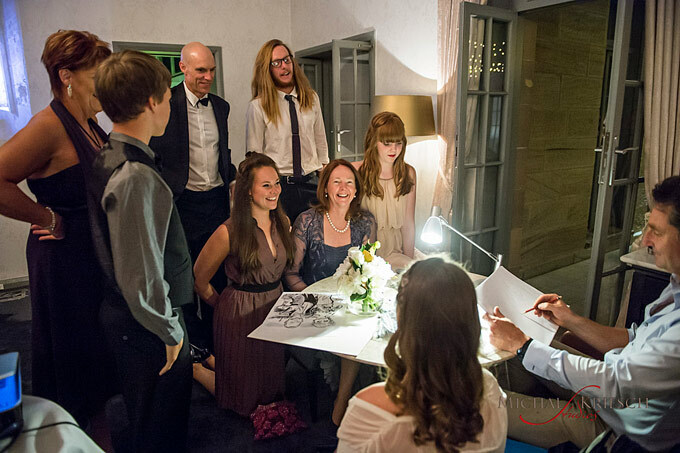 Everyone loves to watch a Cartoonist draw! 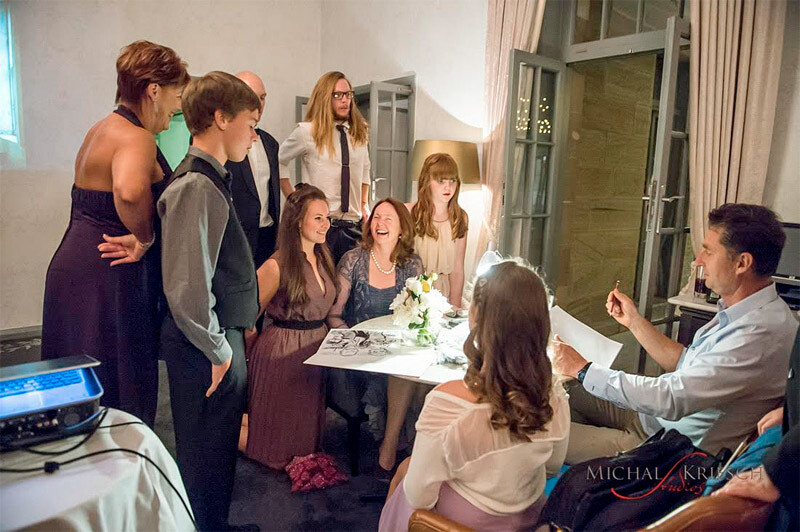 Your guests gather around as their friends get drawn in a humorous fashion and take part in the laughs! 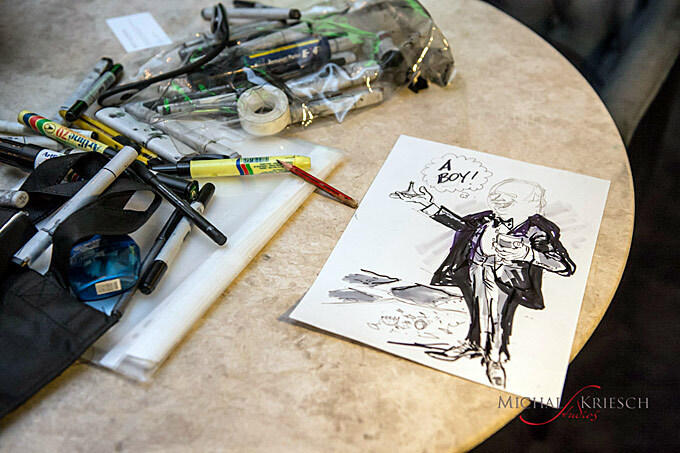 Caricatures are a customized – a “collaboration” between the artist and the person sitting. “I normally get the VIP’s out of the way first- The Bride and Groom, Mums and Dads, then The Brides maids and best Men ....then continue with the rest of the guests. 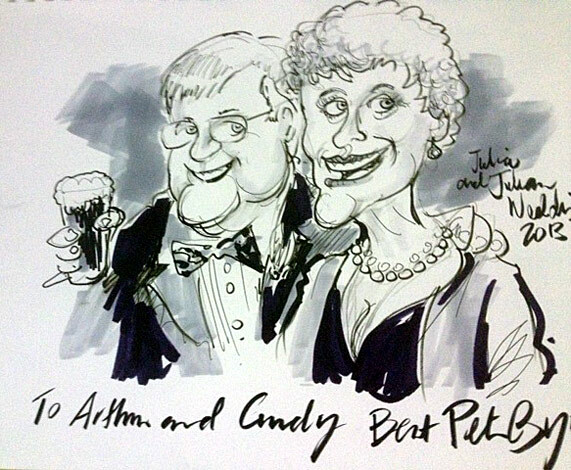 I've enjoyed sketching at over a 100 weddings and wedding-related affairs. As well as at honeymoon parties, anniversaries, hen nights,engagement parties, christening parties... It's something different, which has always gone down well with guests of all ages ! “I'm renowned for my friendly banter, but it's always respectful. 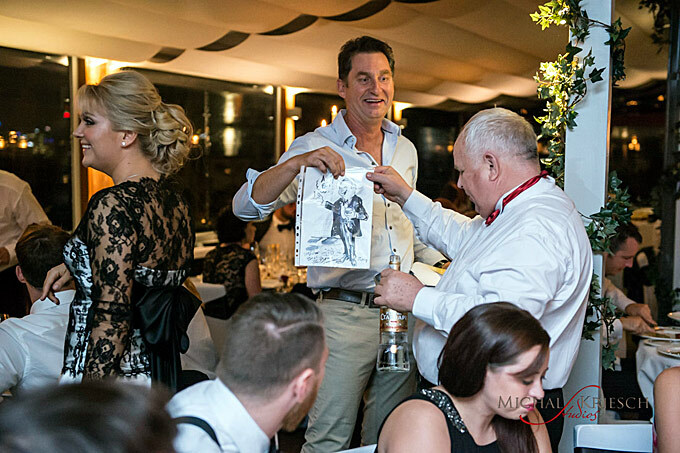 By booking me, you're guaranteed of social interaction, excellent drawings, memories that will last a lifetime and of course, a little laughter! Thank you so much Peter for your time and effort the other night. It was a wonderful experience for both of us. 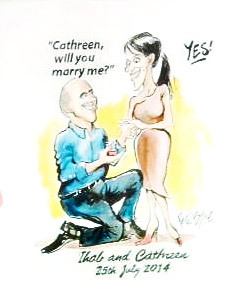 I also got the desired result which was fantastic – I surprised her and she said ‘yes’! 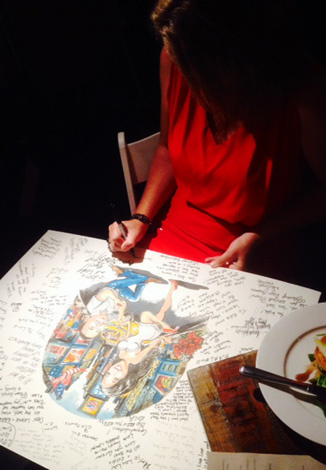 Our families and friends that have seen the photos and the drawing absolutely love what you’ve done for us too. We now have a lasting memory of this special night and something that we will remember and cherish for a very long time. 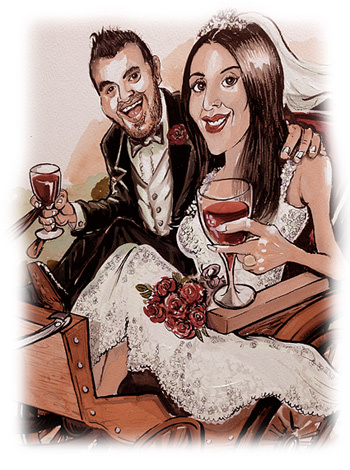 We would like to thank you for being a part of our Wedding on the 22nd of February and even making our day a little bit more special with those fantastic caricatures of yours! Thank you for setting the mood and entertaining the crowd. 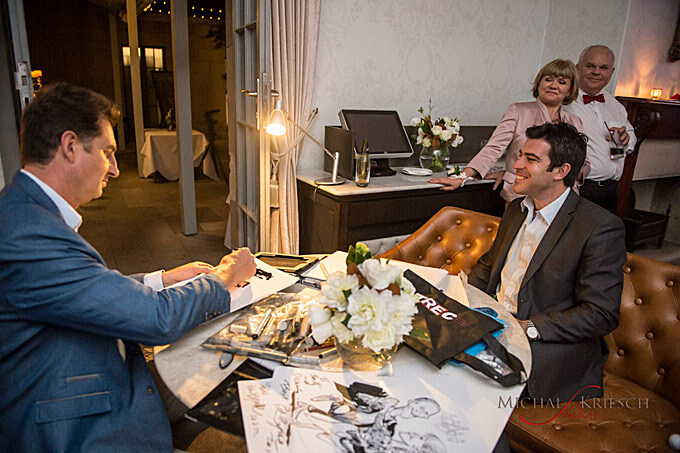 We received lots of compliments on "How Great the Caricaturist was" and that guests really did enjoy themselves while being drawn by you! 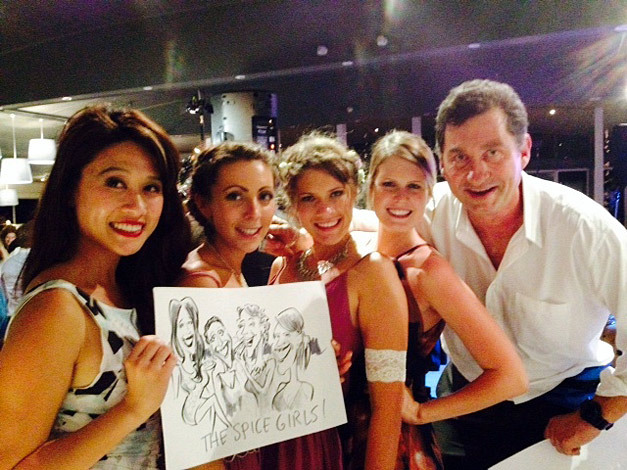 Thanks for joining us on Saturday, you were a real hit! 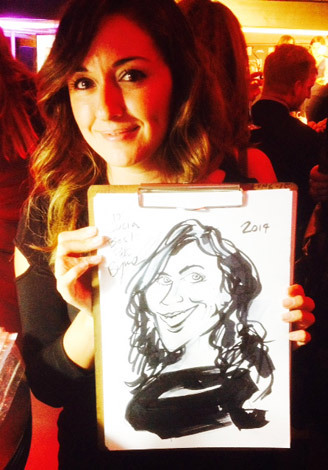 RE : Last nights wedding ... Just heard from the client and she said the event was a huge success and you were great – but of course we already know this! So if you want to engage an Australian Corporate Cartoonist with 30 years’ experience, Who continually think outside of the square to deliver high quality professional work whilst being fresh and entertaining please contact me.